In 2015, all 193 world leaders of the United Nations agreed upon and signed a global agenda with 17 Sustainable Development Goals (SDGs) to achieve a more prosperous, peaceful, and sustainable world by the year 2030. On theme with the constant stream of superhero movies gracing the big screen, these goals have created a framework and opportunity for all industries, stakeholders, and individuals to find their role in taking action and contributing to this master plan to truly save the world. Furthermore, these goals have effectively excited the creative industry. Because of the broad range of issues and necessary advancements touched upon by these 17 Global Goals, every brand, agency, and creative can weave purpose into their narrative and directly influence their consumers, regardless of their product or solution. As leaders in communication and storytelling, this industry has the ability to widen perspectives and speak to the hearts and minds of the people, positively altering consumer behavior related to each goal. Purpose-driven campaigns, creative expressions, and recognized influencers have the unlimited potential to inspire action and progress towards advancing a better world. 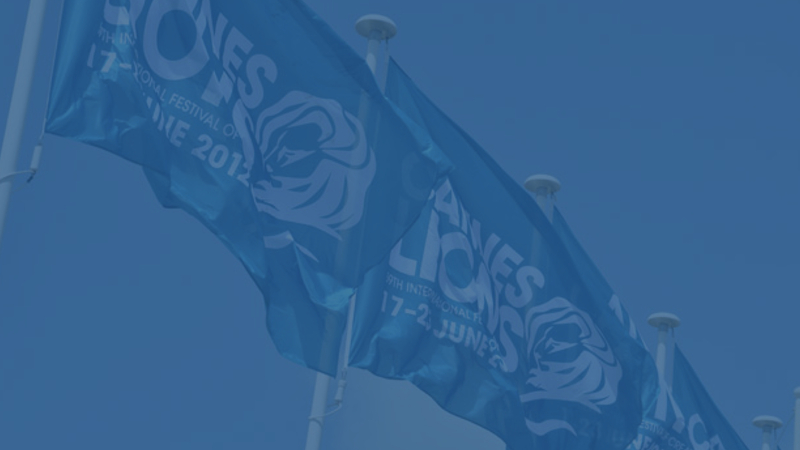 To celebrate examples of successful implementation of this potential, the Cannes Lions will be introducing the Sustainable Development Goals Lions, awarded to creative problem solving, solutions or other initiatives that harness creativity and seek to positively impact the world. Reflective of SDG #17, Partnerships for the Goals, the SDG Lion Awards were created through a collaborative partnership with the Cannes Lions, the United Nations, and Ascential, exemplifying how progress can be made when we all work together. In preparation for the upcoming festival and the historic, inaugural year of the Sustainable Development Goals Lion Awards, listen to the newest episode of Global GoalsCast to further examine how the new award category and initiatives, like Common Ground, are keys to advancing the SDGs, humanizing all people, and generating positive impact on a global scale. We all have a role to play in building a better world by 2030. The creative industry is putting their stake in the ground, demanding progress and purpose-driven prioritization, represented by the addition of this award category. Be inspired by their example and find your role in making this world a better place through the guided framework of the planet’s masterplan, the SDGs. There is no plan B, because there is no planet B. You can hear the new episode and all other episodes of Global GoalsCast on Apple Podcast, Google Play, or anywhere that you subscribe to podcasts! Claudia Romo Edelman is an advocate for the social contract, removing social divisions and highlighting universal values to remind everyone that we are all human. She is currently a Special Adviser at the United Nations and the We Are All Human Foundation, whose mission is to advance an agenda of equity, inclusion and representation. Claudia is also the Co-Host of ‘Global GoalsCast’, a podcast distributed by CBS News Digital, which highlights global progress through the stories of champions making a difference. Prior to this, the Mexican-Swiss diplomat was seconded to the Executive Office of the Secretary-General of the United Nations, to lead communications and advocacy for the Sustainable Development Goals.